Designed by William Adams for the London and South Western Railway, 60 of these locomotives were built at Nine Elms Works between 1889 and 1895 primarily for London suburban traffic. Displaced by more powerful locomotives the O2s were dispersed throughout the LSWR system, their short wheelbase and relatively light weight being particularly suited to restricted branch lines. As electrification extended and other more modern traction was introduced some examples were transferred to the Isle of Wight. Despite some early withdrawals the O2s lasted well into BR days when branch line closures left all the remaining mainland locomotives withdrawn by 1962. On the Isle of Wight they continued in front-line service until withdrawn in December 1966. Two examples remained to work engineering trains during electrification work, one of which survived to be preserved. This preserved example, number 24 "Calbourne", has been laser scanned at the Isle of Wight Steam Railway. The data from this scan, in conjunction with drawings of the original locomotives, will allow us to create accurate models of these popular prototypes, including both types of coal bunker. The models will be produced using tools owned by Kernow Model Rail Centre. We produced seven versions as detailed below (two of which have now sold out) - see them on our website by clicking on the picture. K2101 DJ Models 0-4-4 Class O2 Steam Locomotive number 24 "Calbourne" in BR Black livery with early emblem £124.99 (SOLD OUT). 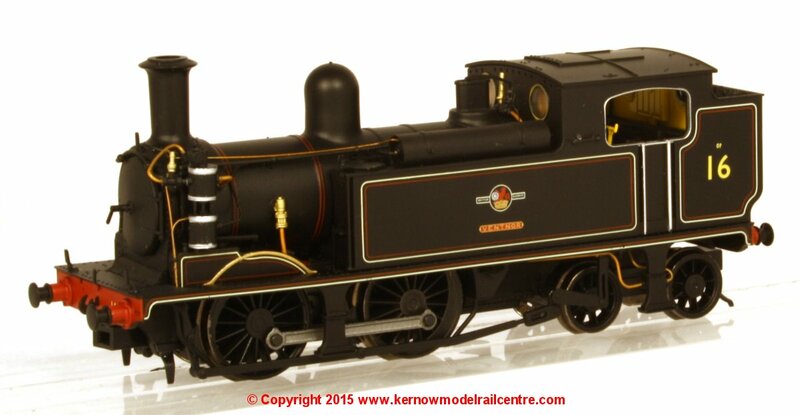 K2102 DJ Models 0-4-4 Class O2 Steam Locomotive number 16 "Ventnor" in BR Black livery with late crest £124.99 (In Stock). K2103 DJ Models 0-4-4 Class O2 Steam Locomotive number 30182 in BR Black livery with early emblem and pull-push equipment £124.99 (In stock). 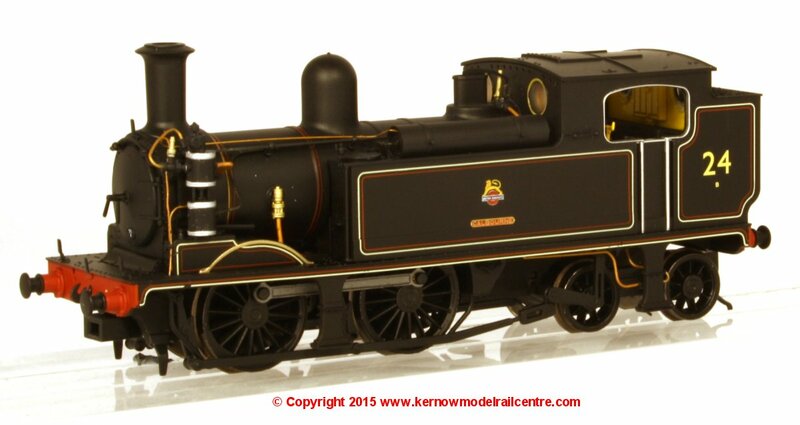 K2104 DJ Models 0-4-4 Class O2 Steam Locomotive number 30225 in BR Black livery with late crest £124.99 (In stock). K2105 DJ Models 0-4-4 Class O2 Steam Locomotive number 225 in Southern Black livery £124.99 (In Stock). 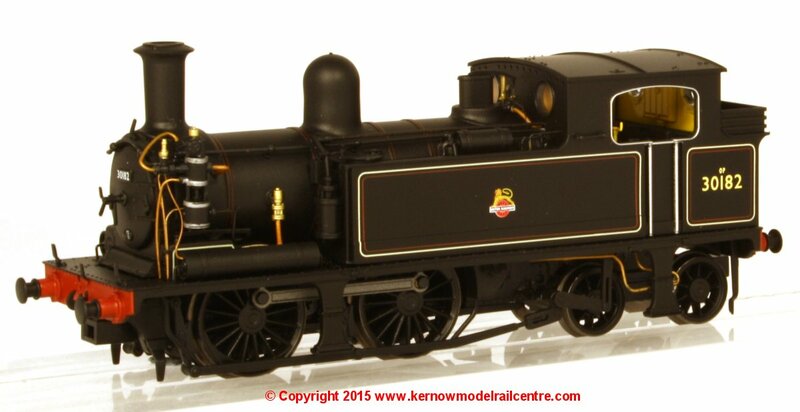 K2106 DJ Models 0-4-4 Class O2 Steam Locomotive number 30193 in BR Black livery with early emblem £124.99 (In stock). 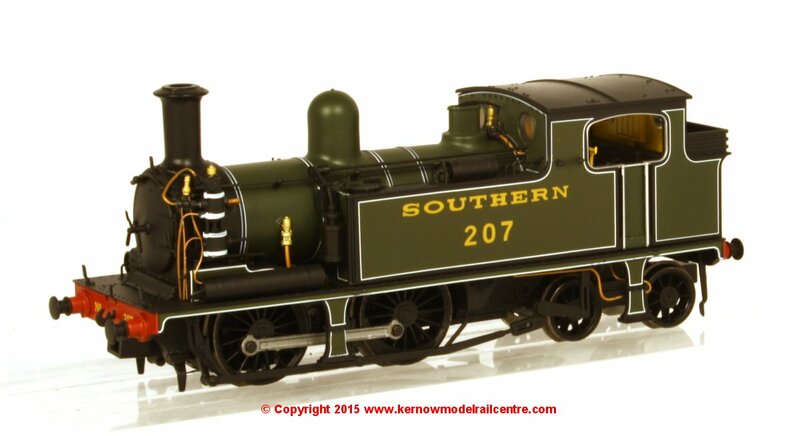 K2107 DJ Models 0-4-4 Class O2 Steam Locomotive number 207 in Southern Railway Maunsell Green livery with pull-push equipment (SOLD OUT). In July 2012 we received the first CAD-CAMS for this model and in November 2012 we received the amended cad-cams. Not much then happened for a considerable period of time but now that we have terminated the relationship with Dapol (November 2013) and started dealing directly with the factory (in conjunction with Dave Jones of DJ Models) rapid progress has been made. The latest cads were approved (February 2014) and tooling is complete. Livery samples of the Isle of Wight versions (K2101 and K2102) were approved in January 2015 and livery samples of the Mainland versions (K2103 to K2106 inclusive) were received in April 2015 and have been approved. The livery sample of K2107 was received in June 2015 and has been approved. The models started production in July 2015 with the first model delivered in September 2015. You can place your order on-line through our website. Tampo printing the lining. This is two colours, with the white printed twice to ensure correct density over the black base colour.